TickTick is a powerful task management app with a particularly excellent animated tutorial. 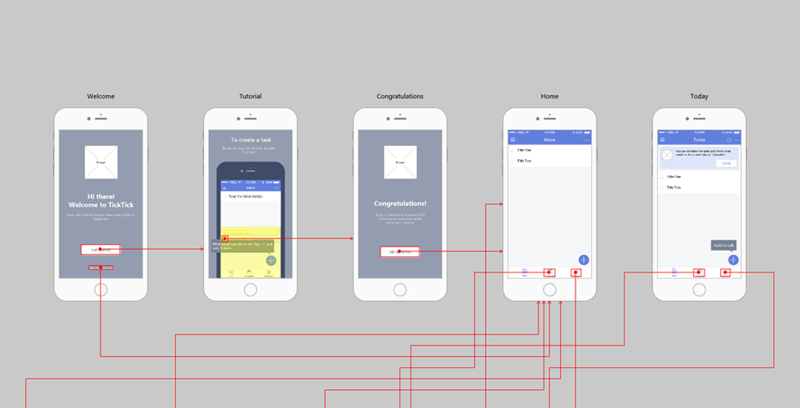 This tutorial adopts the way of interacting with users and adds a real mobile phone interface together to guide them. In Mockplus, mobile phone projects offer no any component of mobile device frames, but web projects offer such components. So, how to use a mobile device frame component in mobile projects? Here is a way for you. Firstly, open a mobile phone project and create a new web project. And then, drag an iPhone, iPad or Phone component to the canvas. And at last, copy and paste it to your opened mobile phone project. Pages of this prototype: Welcome, Tutorial, Home, Sign Up, Log In and Settings, etc. App pages of the album ( 10 pics in total ) can be downloaded from here.